So the Main Event at the 2009 Aussie Millions is well and truly into the day 2 and All Aussie Poker is giving you the updates of the action. 681 players joined the list all in search of the $2,000,000 AUD first prize payday. At the moment we are late into day 2 and there are only 107 players left in the hunt, with only 64 players reaching the money we still have another 43 left til the bubble bursts. One the interesting things to note, out of the 3 women players remaining, Annica Ivert and Annette Obrestad are leading the tournament in 1st place and 2nd place respectively. The Aussies are craving their first local hero of the event, but could it be another first… with a women taking the event down? Out of the remaining players, there are still some big names with healthy chips stacks. Patrik Antonuis sits well with 379,000 after building his already big stack from 130,000 on day 1. 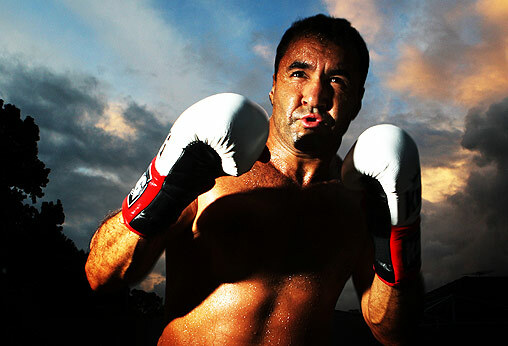 The only 2 World Champions in the event are Scotty Nguyen 75,000 and Aussie Joe Hachem 43,000. Both will need to find something early day 3 if they want to add this title to their already impressive resume. EVENT #10 $5,300 Heads Up Championship is also underway with 32 starting players we are down to the last 4, who are all garaunteed $40,000 AUD. EVENT #11 $1,100 Pot Limit Omaha is also underway with 20 left from 120 starting players. Players will start to itch a little as they near the cash and final table bubble which pays the top 9 finishers. 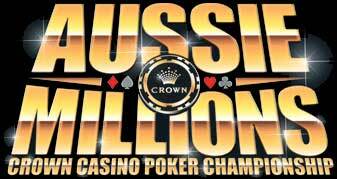 Be sure to check back with All Aussie Poker as these events come to a close and we get you all the 2009 Aussie Millions updates.